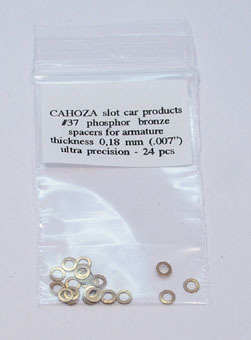 .007" aluminum arm spacers, 1/3 the weight of bronze, brass or steel. 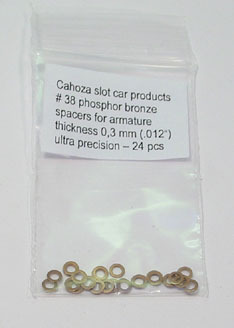 Use between bronze spacers so as to provide necessary support, 12 per bag. 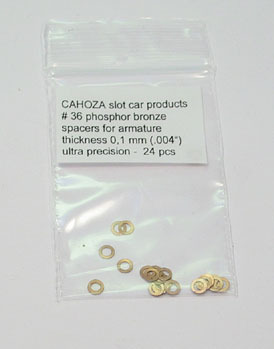 .007" phosphor bronze spacers, Ultra precision fit on armature shaft to eliminate vibration due to loose fit, phosphor bronze is very hard but will not stick to magnets. 12 per bag.